A very brief history of my approach to writing report comments…. 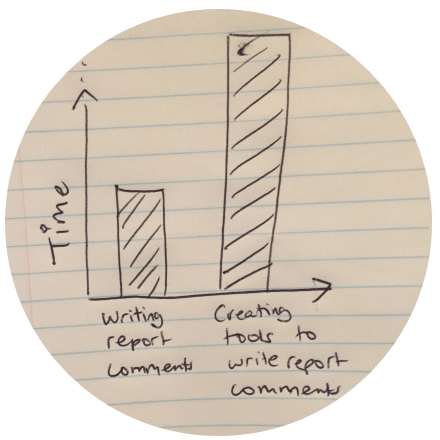 A good friend of mine (also a teacher) once commented that I spent more time thinking and creating tools to write report comments than the actual time it would take to just write them by hand. I did write my report comments “by hand” for the first couple of years of teaching, but then I realised that, while every student is different, I wasn’t necessarily using completely different comments about each student. There was a structure to what I was writing and some key things I was commenting on regarding what the student was doing (or not doing) in terms of their learning. So a started developing tools to help me (and others) write report comments. My goal with this new version of the report writing tool was to make the process more natural and for comments to be “suggested” in the writing process (rather than using drop-down boxes), similar to how Google suggests search terms for you as you type. For this suggestion process to work well, I had to analyse all the comments I had used before to identify words that were useful at identifying comments and words that were not. For example, I found that most words less than four letters long were not that useful at selecting useful comments, and words like “have”, “take” etc. also were not useful at presenting reasonable options for comments. 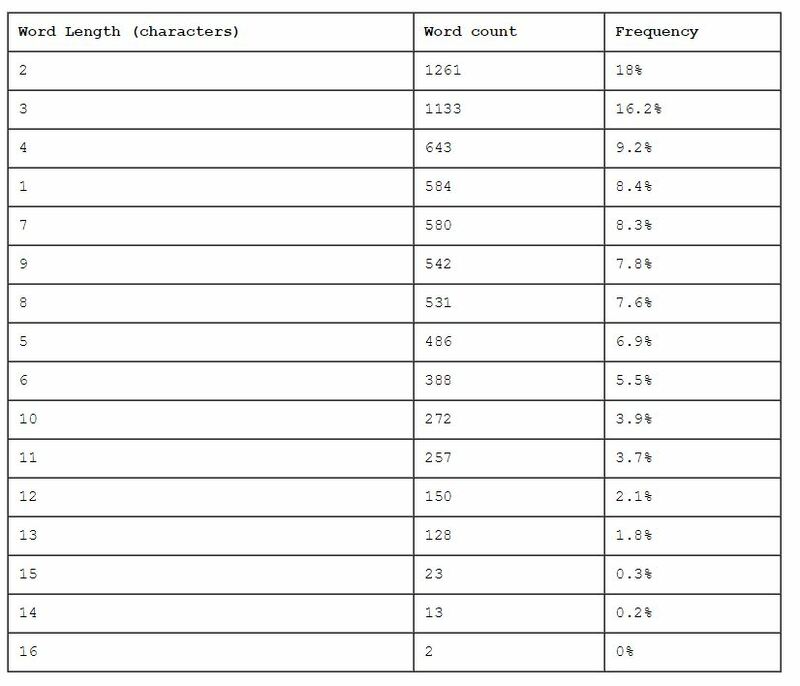 I ran some of my previously written comments through some text analysis tools to check out aspects such as readability and word length.